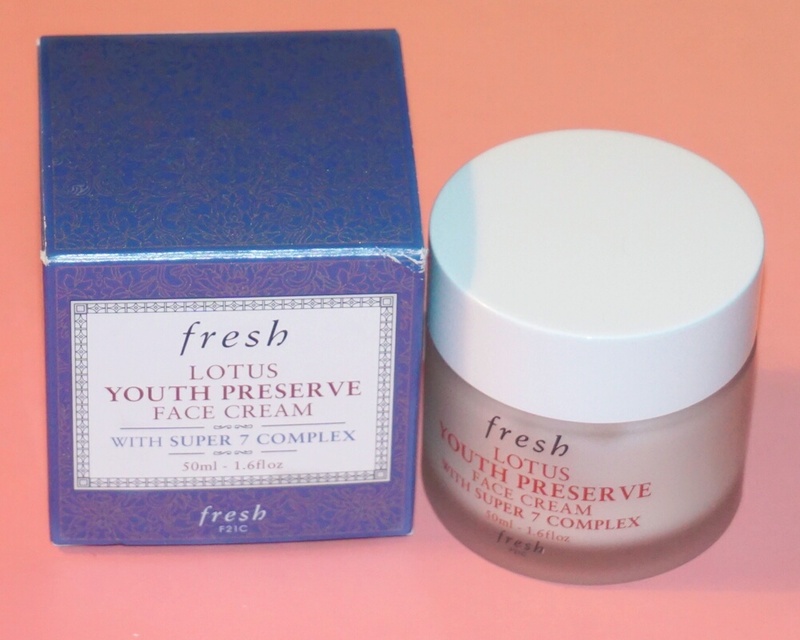 Fresh Lotus Youth Preserve Moisturizer is a daily moisturizer that with regular use helps to prevent early signs of aging. Containing a blend of seven super-charged ingredients, it will not only brighten and firm your skin but will also hydrate it. 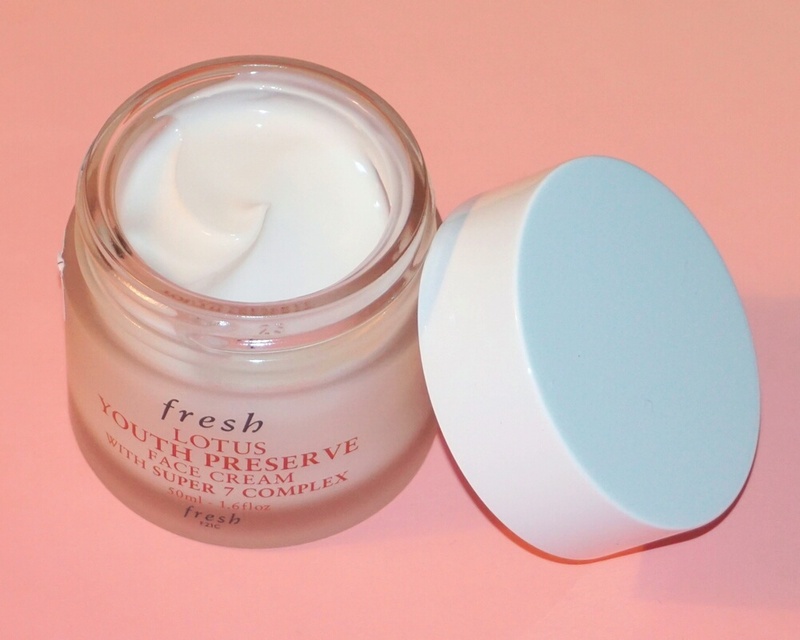 The moisturizer comes in a transparent glass jar with a simple white lid. It has a creamy white color and has a subtle cucumber scent. 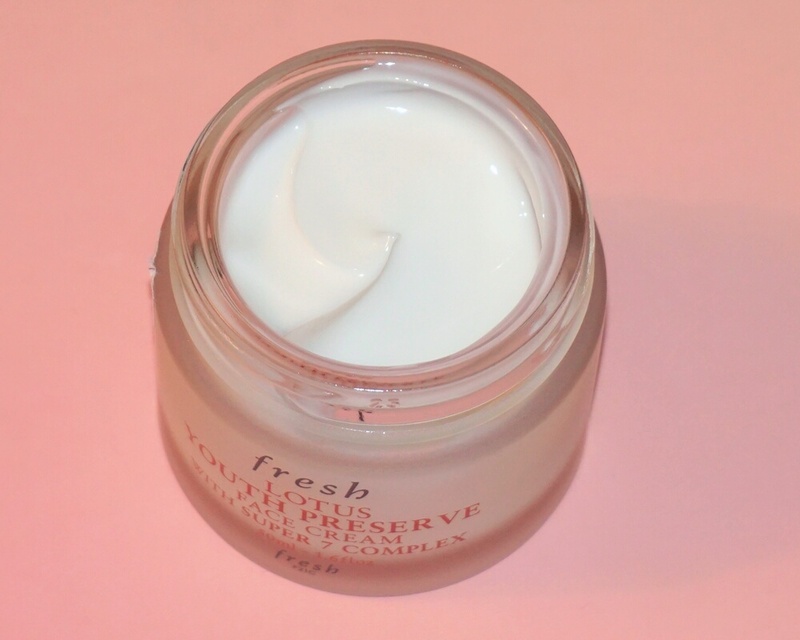 This moisturizer has a very lightweight and creamy texture that sinks into the skin quickly without leaving any sticky residue behind. 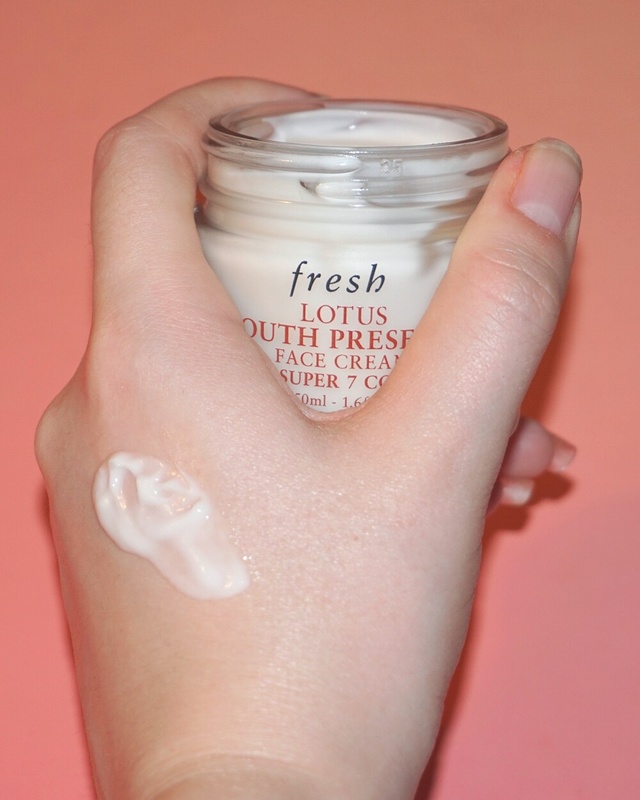 I discovered Lotus Youth Preserve Moisturizer about two years ago and it has been my favorite daily face moisturizer ever since. 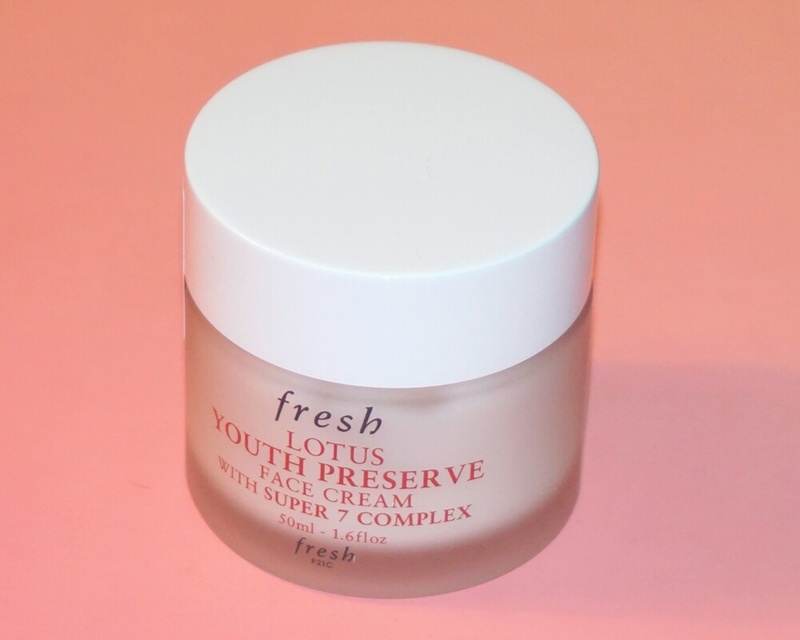 I use this product twice a day as it is gentle enough to be used during both day and night time. 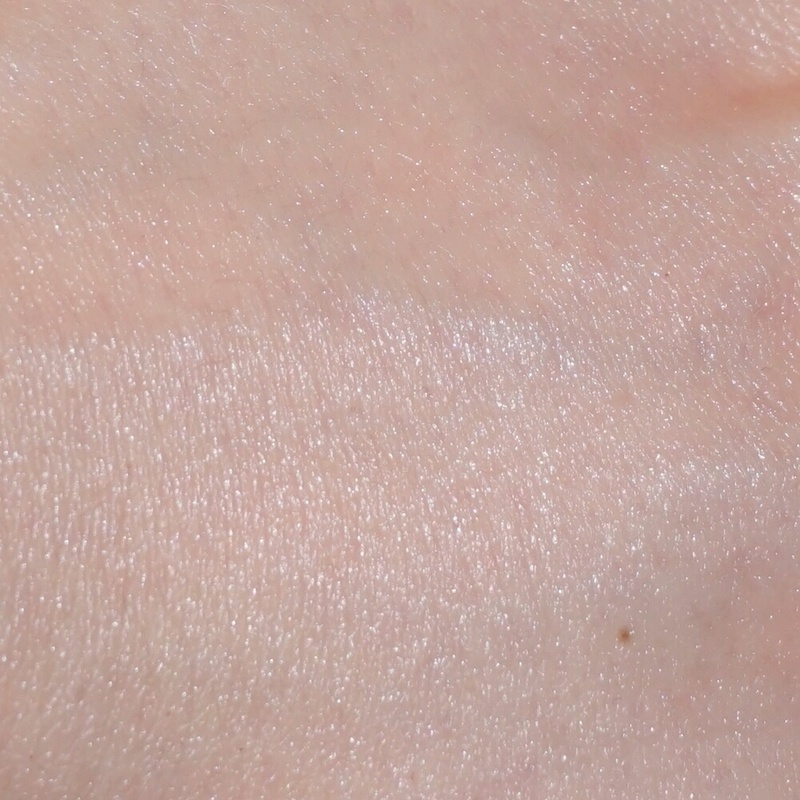 I absolutely love how smooth and healthy it makes my skin look and feel with each use. I do find it to be a bit on the pricey side, but I am still willing to splurge on it because I know that it works.